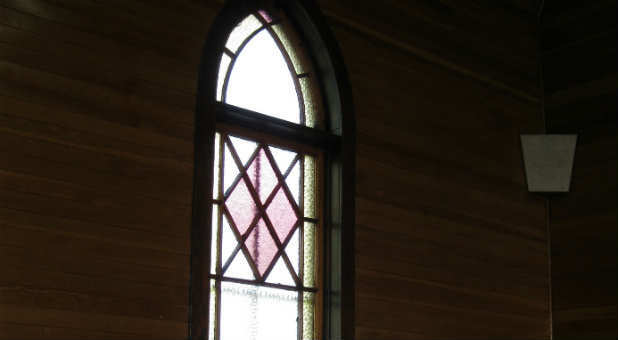 ⇑ back to "Pastor's Heart"
I hear it frequently: "My church has hit a plateau. What can I do to get it moving again?" While this can be a common crisis, it's not unfixable. There are several things you can do to help your church move beyond its growth block. First, though, it's important to understand that the longer your church has been plateaued, the longer it's going to take to get it going again. There is tremendous power in momentum. At NASA, most of the energy—the jet fuel—in a rocket engine is used up in the first several hundred yards. It takes all that fuel just to get the thing off the launch pad. Once it's in orbit, it takes very little power to keep a rocket going. But you still have to get the thing going, and that initial push takes a lot of time and energy up front. If your church has been plateaued for six months, it might take six months to get it going again. If it's been plateaued a year, it might take a year. If it's been plateaued for 20 years, you've got to set in for the duration! For a church to turn around it, may take many, many small degrees of change and a long time to make the turnaround complete. I personally believe you have to be called to a church like that. People ask, "Is it easier to start new churches, or is it easier to take existing churches and turn them around?" My answer is this: "It's always easier to have babies than to raise the dead." However, God is in the business of raising the dead. He's a pro at resurrections, but it just might take some time. First, as we've just discussed, understand that it will take time. As pastor of an existing church that needs to be turned around, you must pray for an extra amount of patience. People change very slowly. They are resistant to change because they recognize that life as they've known it will cease to exist. So the very nature of the primary group is to fight change. It can take time to win them over. Pastor everybody, hold everybody's hand, don't show partiality, and continue to care for everybody. But you move with the movers. Jesus spent the maximum amount of time with those who would bear the maximum amount of responsibility. Even though he fed the 5,000, he spent most of his time with the twelve. Even with the twelve, he had the inner circle with Peter, James, and, John. Paul, in the book of Galatians, calls Peter, James, and John "pillars of the church" because they were the ones who would bear the maximum responsibility. You need to be perceptive of these people in your church. Find out who the legitimizers are; the ones who are willing to go for change. Find these people and start pouring your life into them. Build your vision in them. Love everybody but move with the movers. It's going to come. Everybody wants a church to grow to a point. Everyone gets excited when new people start showing up on Sunday ... until those people start creating change and moving things away from the traditional center of gravity. In every church, there are people who were there before you, and there are people who came after you. Then there are people there who are younger than you and there are people there who are older than you. You must feel called in your spirit to lead a church through change, because change is never comfortable. It is almost always uncomfortable. Be assured of your calling, be prepared for the long haul, be ready for conflict and move with the movers—and you'll slowly begin to turn the ship around.